We’re all used to finding spiders in our sheds, but sheds can also make happy homes for our domestic pets. 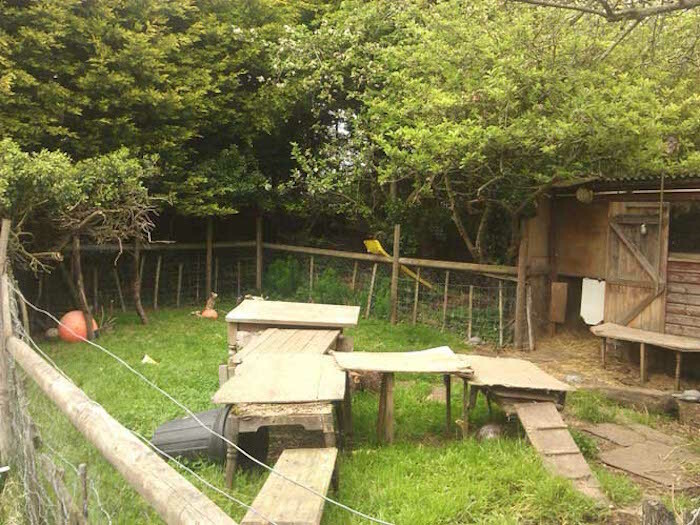 In this post we’ve rabbits and tortoise, a variety of birds, goats, ponies and even crocodiles being housed in garden sheds. Read on to discover some innovative ways to turn your shed into the perfect pet-friendly home. 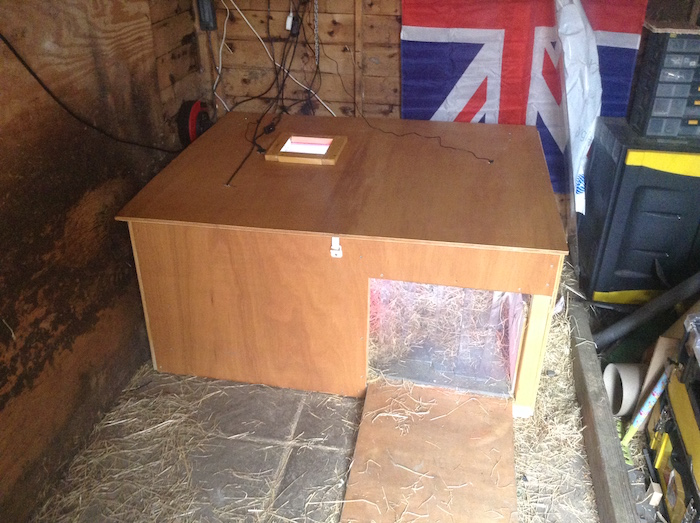 We’re used to seeing our rabbits all snug in their hutches but what they really need is much more space. 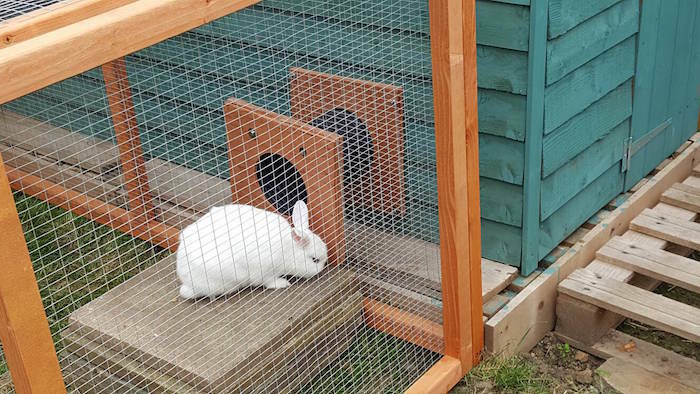 The Rabbit House gives great step-by-step instructions on making your rabbit a palace and as they say, giving your rabbit room to bounce has benefits for humans too. If you do decide to convert your shed into a roomy rabbit refuge, it’s important that any materials you use are pet safe. This means using pet safe woodstains or paint to preserve the wood that they are guaranteed to try gnawing on. Tortoise Forum member Tim has a pet tortoise named Barry, who weighs in at a massive 44lb. At 18'' long, Barry needs a space of his own. For this, Tim has transformed the garden shed into Barry’s new home. 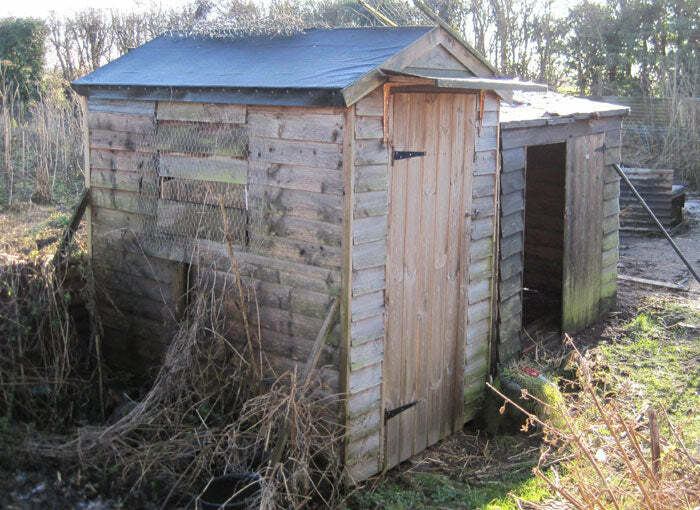 Barry’s shed has everything he needs to live the life of luxury, including a heated box and his own shed flap entrance. To make sure Barry has enough light, and to make sure he can tell night from day while he's inside, Tim added a window. Tim’s bengal house cat, Ollie, joining Barry for a snooze in the shed. Already have a tortoise in your life? 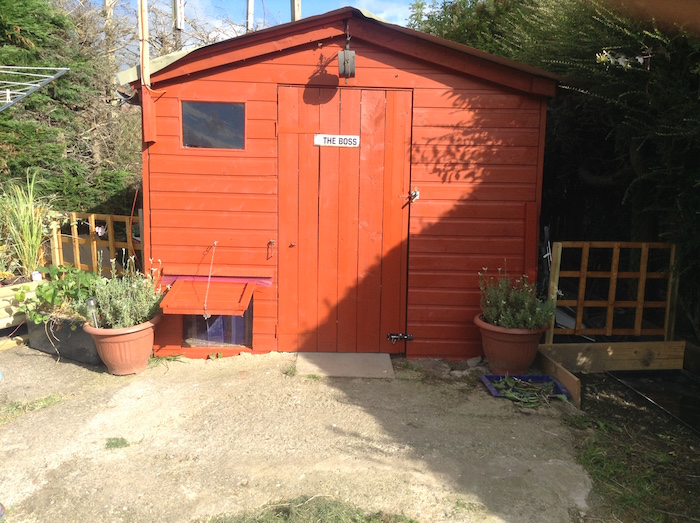 Take Tim's lead, and adapt a garden shed to make a space where they can be happy and healthy. 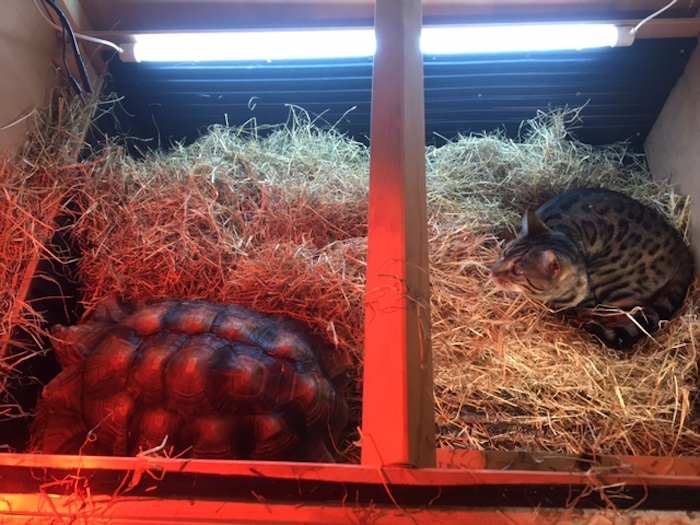 The Tortoise Table and The British Chelonia Group both have helpful tips on converting sheds into great tortoise homes which keep them safe, give them a basking spot and provide shelter during bad weather. By law, birds must be kept in a cage that gives them room to stretch and flap their wings, but why stop at providing an enclosure that’s merely ‘big enough’? Dorothy Schwarz suggests converting a shed into a parrot house, complete with perches and feeding bowls to give these long-lived pets the extra space they deserve. The key to accommodating your budgies in style is insulation, lighting and ventilation. 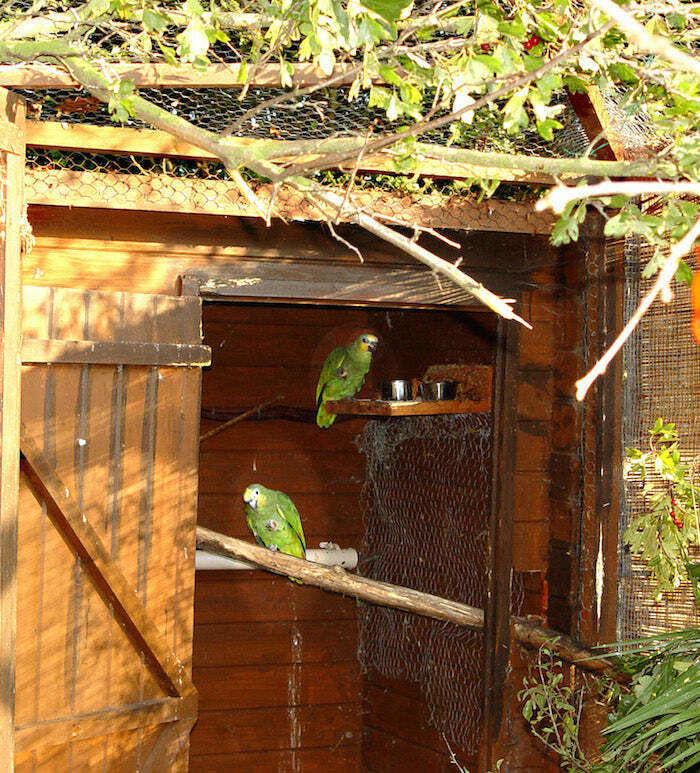 By adding polystyrene packing behind hardboard, a strip light and an extractor fan Robert Higgerson from The Sunderland Budgerigar Society was able to create a comfy home for his breeding birds within a home-built shed. Happy hens mean more eggs for you. 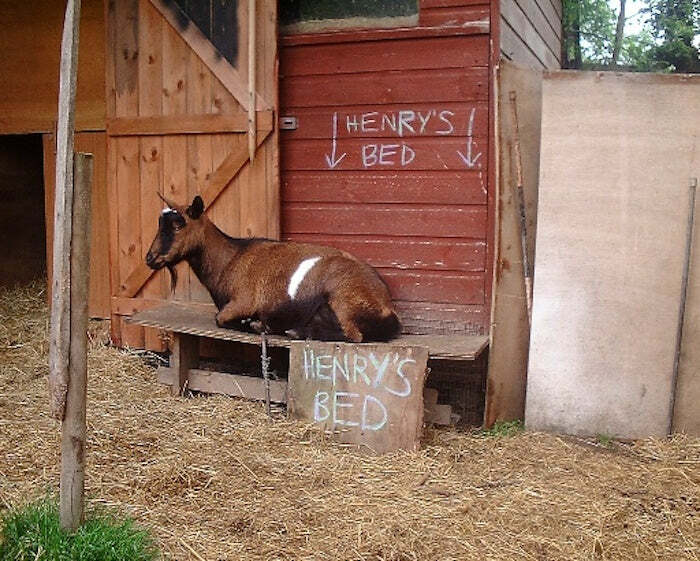 Give them their own shed and they will be producing eggs for breakfast in no time. As well as their own dj the goat shed has CCTV, which allows David to keep an eye on their behaviour and is especially useful in keeping a watch on any poorly pets. Shetland Ponies are a hardy breed that doesn’t need a house to live in. But happy as they are outdoors in all weathers, they love a shelter for a bit of comfort when they need it. Key points to remember for ponies are to ensure your shed is fully waterproof, there is enough space for the pony to turn round and lie down and to include plenty of enrichment to prevent boredom. 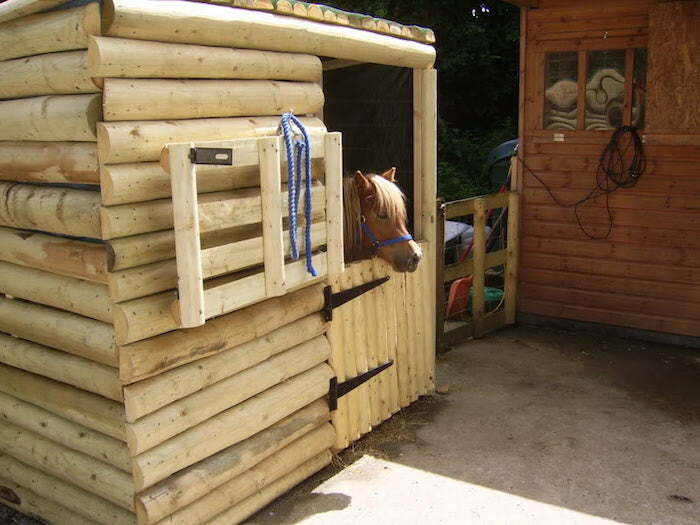 Foals in particular should be stabled during their first winter and what better way than by converting your garden shed? If rabbits, tortoise, goats, parrots, chickens, ponies or budgies aren’t to your taste what about keeping a crocodile in your shed? Mark Amey, a finalist in Shed of the Year 2016 and animal handling specialist has done just that. 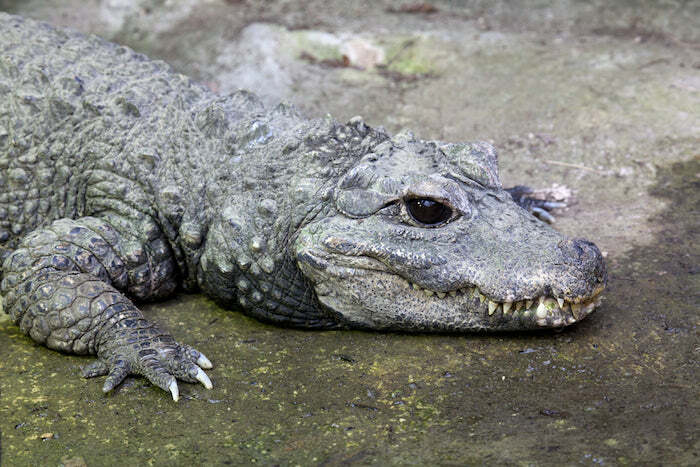 He has an African Dwarf Crocodile living in his garden. All pets need special care but if you’re thinking about keeping an exotic animal in your garden shed make sure you do plenty of research, and talk to the experts first. 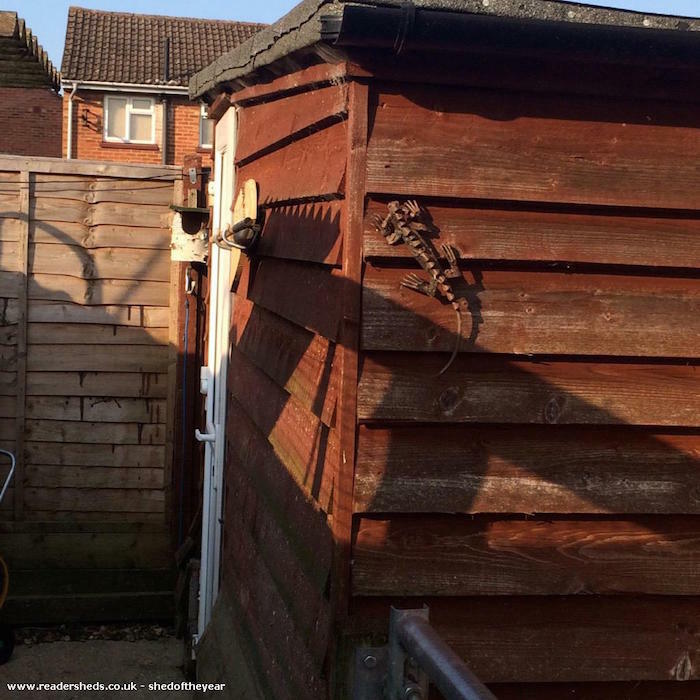 For more animals in sheds take a look at our ‘Animal visitors to your shed’ post to find out about some of the more unusual creatures that people have found lurking in their garden buildings.